Come Christmas, an assortment of desserts at the end of the meal provide a fitting finale to the celebratory meal. 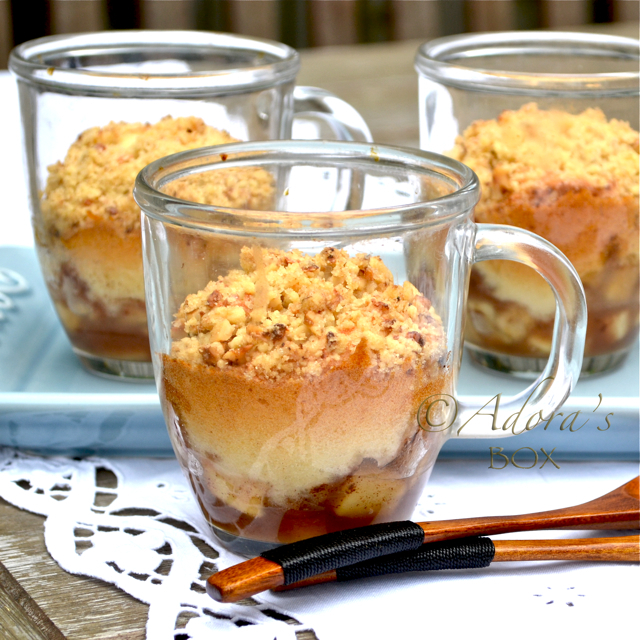 Although we are spoilt for choice with the assortment of desserts at the supermarkets, nothing is nicer than a homemade one. 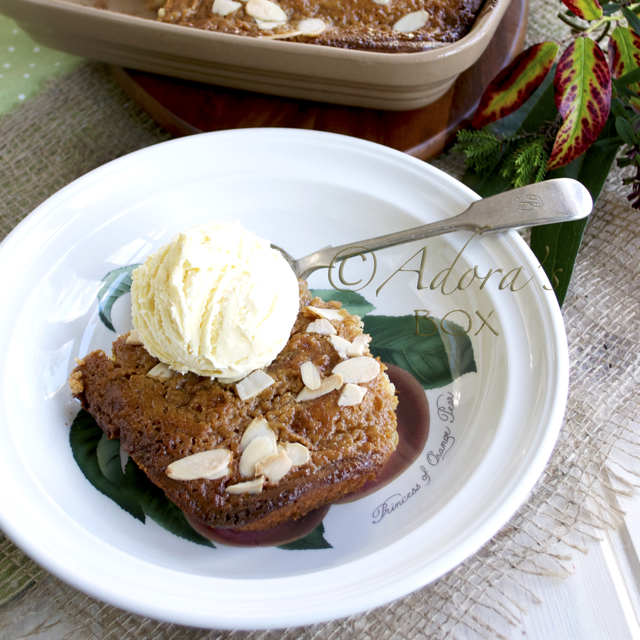 I always prepare a few contrasting desserts to suit everyone's taste. 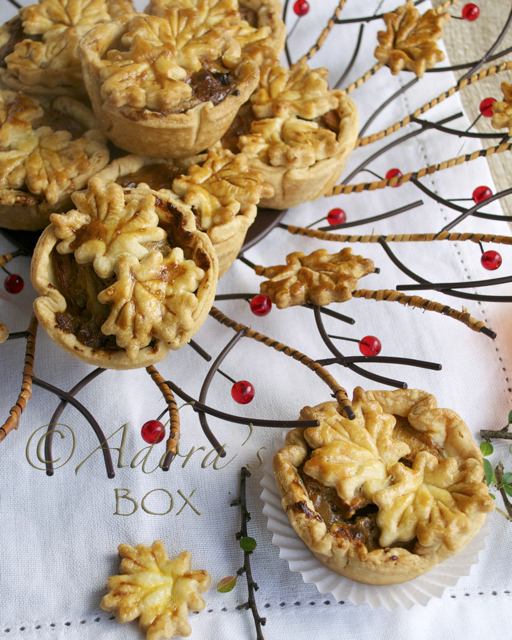 This one would be a great alternative to mince pies. It is easy, can be done the previous day and the kids can help make it. 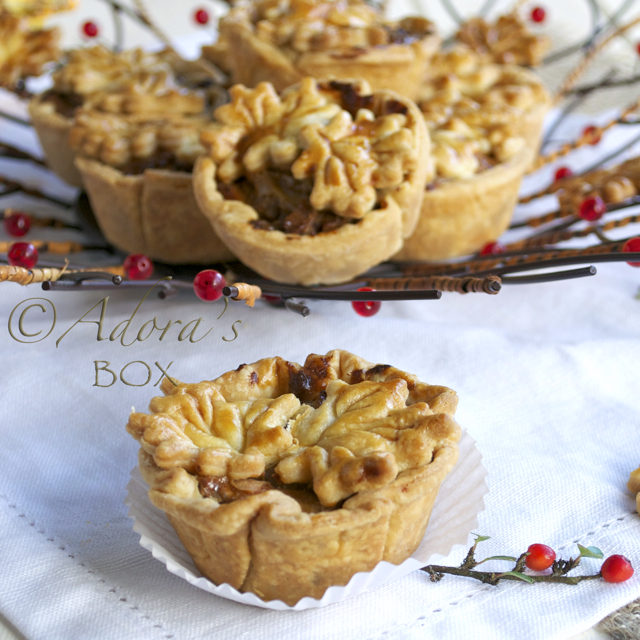 We all love crispy crust on pies but sometimes that doesn't happen when there is a juicy fruit in the filling. Baking blind helps to give the crust a crispy start but I did not want to bake 12 little pastry cases blind so I pre-cooked the filling instead. I thought that filling the pastry with a thick filling rather than a wet mixture would prevent that soggy pie bottom. That did work out quite well. The pastry came out perfectly crisp and flaky. They were delicious, too, by the way. 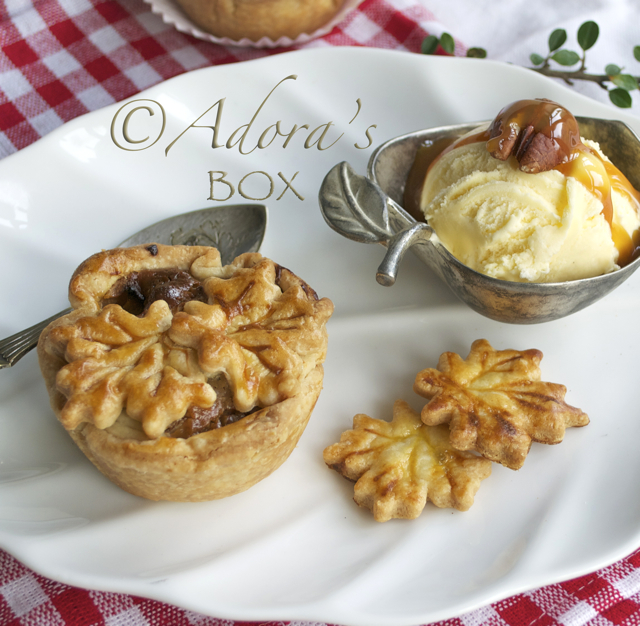 How can you go wrong with apples, caramel and pecan. The pastry tasted good too as it had cream cheese in it. Pulse the flour and butter in a food processor until the butter pieces are pea sized. Add the cream cheese and pulse again until the dough clumps together into a ball. Wrap the pastry dough in cling film and refrigerate for 30 minutes. After 30 minutes, roll out the dough on a floured surface to a 1/4 cm. thickness. Cut into 12 rounds and line a 12-hole muffin tin. Crease the pastry to fit the muffin holes. This will make a nice rustic look to the pies. Cut out decorative shapes with the rest of the pastry. 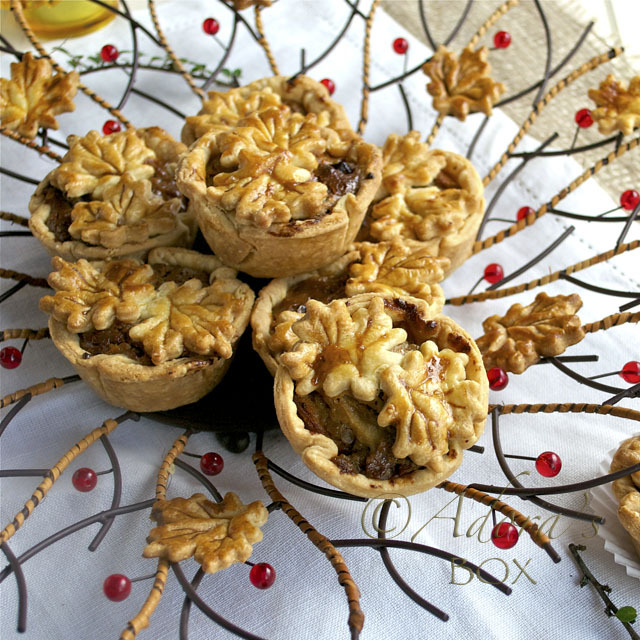 You can also make a lattice top crust. Fill the pastry cases 2/3 full with the cooled filling. 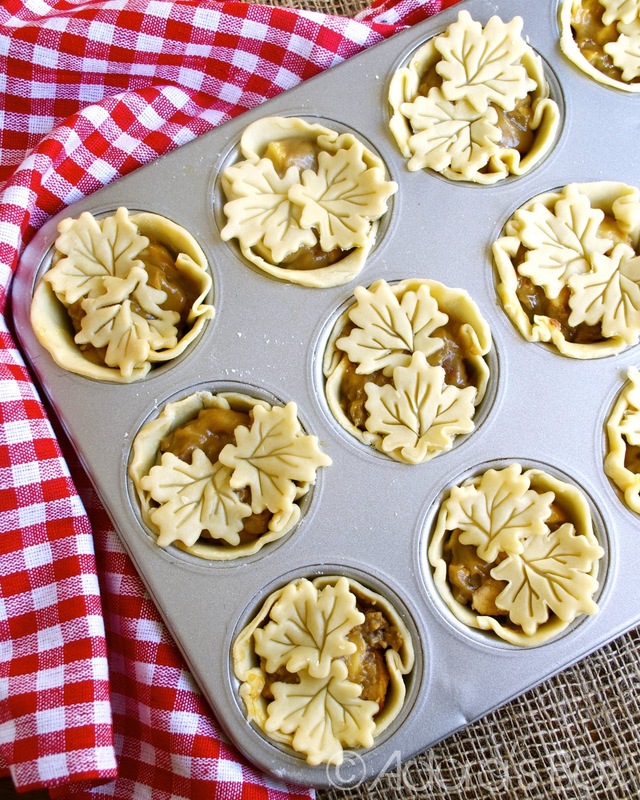 Top with the cut-out pastry shapes but leave gaps for the steam to escape. Brush pastry tops with the egg yolk glaze. Bake at 350° F/ 180° C for 20 minutes. Lower the heat to 300° F/ 150° C and cook for a further 20 minutes. Leave to cool in the pan for a few minutes before taking out of the molds. In a pan, mix the corn flour and brown sugar together until well combined. Whisk in the condensed milk and egg. Put the pan on low heat and add the apples and butter. Stir constantly until the mixture is smooth and thick. Add the pecans. Take off the heat and leave to cool before filling the pastry cases. Love the addition of the cream cheese to the pastry - and they are so beautiful. They are so beautiful and elegant. Yes! The cream cheese in the pastry is a great idea. Thanks for sharing! 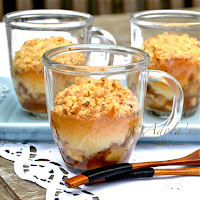 These look amazing, Adora. So pretty! I just love these; beautifully decorated too! Now following you; super great blog! Absolutely stunning! I am SO happy to buzz this one - it's amazing! Just beautiful and one of my favorite pies..Well done!!!! These are absolutely stunning. So gorgeous. These look beautiful. And I love the filipino recipes! All of my childhood friends were filipino but I haven't had good filipino food in a long time. I'd love to be able to start making it myself. These are absolutely the most beautiful little pies I have ever seen!! 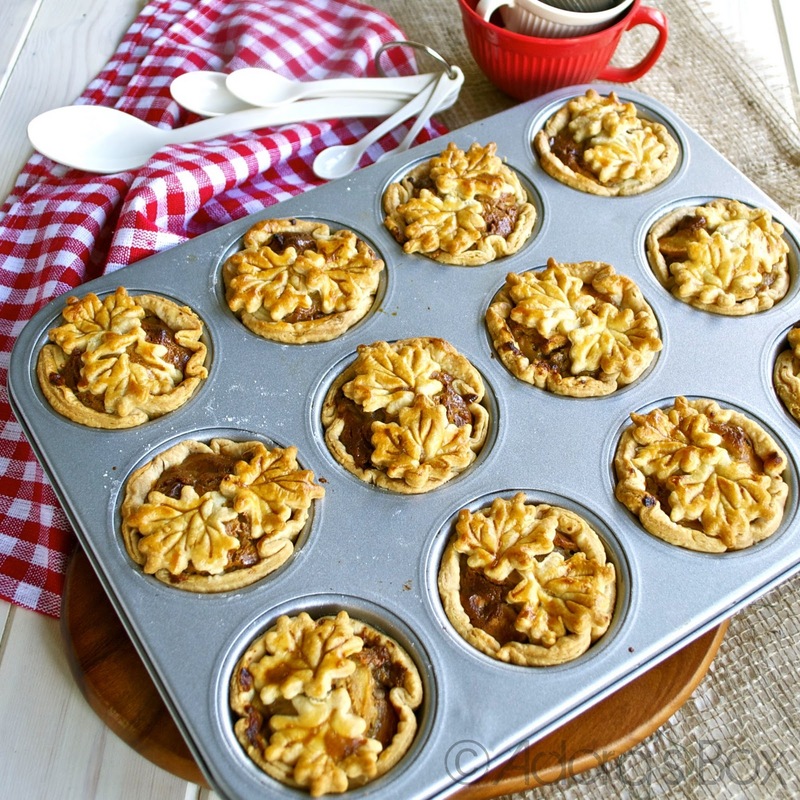 Gorgeous pies! 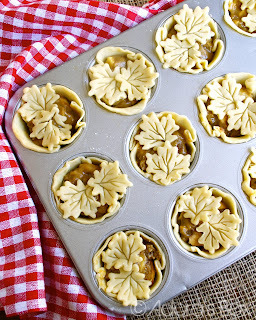 I love these mini pies idea and will have to remember making this way. I like the individual serving pie idea. And the decoration is definitively a nice accent! I like this recipe. 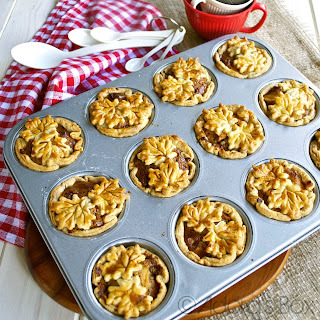 I tried making mini Apple Pies last week and I am going to make another batch with this recipe. :) Thanks for sharing!